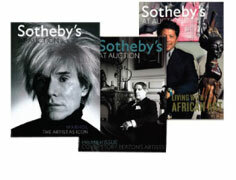 Since the founding of the Sotheby's auction house in 1744, the Sotheby's name has earned renown as a marketer for many of the world's most valuable and prestigious possessions. There is no more powerful differentiation in your local marketing than the demonstration of the collaboration that exists between our two brands. Leverage the history and sophistication of our rich heritage by incorporating our unique partnership offerings into your local marketing efforts. Whether you are promoting your company or listings, the Auction Collaboration ads will surely set your home apart from other print advertisements. 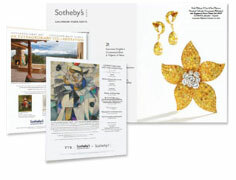 Showcase your listing alongside some of the most impressive possessions in the world with Sotheby's at Auction. RESIDE magazine is distributed to highly targeted list of 100,000 upscale recipients, including the Sotheby's at Auction mailing list. 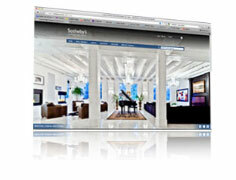 Our collaboration with the Sotheby's Auction House includes multiple opportunities to have our brand and your listings exposed to clients of the Auction House through sothebys.com & sothebysrealty.com. Properties listed at $1.5M (USD) and above qualify to participate in our exclusive Global Distribution program. This option is automatically offered to you during your brochure creation process on our Product Studio. If you choose to participate, you can select from the five options available - full global distribution, international only, U.S. distribution only, U.S. east distribution or U.S. west. Each one of these options also includes distribution to select Auction House locations around the world where 2 brochures will be automatically sent for inclusion into specially designed brochure racks. Putting all these elements together to work for you is what really makes it special. We have been fortunate enough to have a track record to prove that it works. And this is only a sample! 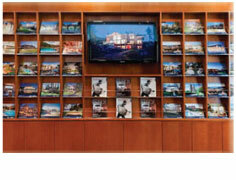 If you have any questions regarding how we can market you home please feel free to contact us.